I think that your 8th point is the most important. Most people dont realize how much time it takes to run your own business. Understanding how much times it takes should be a priority because often in this day and age, we dont have the necessary time. 4 is always overlooked and can be a delicate balance especially if you are a growing company. Been there, done that and thankfully survived to trade another day. A stupid correction: Steve Jobs did invent the PDA. It’s called the Newton, and while it sold well for a new idea, it didn’t bring in nearly as much money as the Macintosh, so Apple decided it was a flop and killed it. Even so, I like the article. I’d sort-of like to start my own businesss, but I get stuck on point #1: I have no idea what the heck I would do! That, and I value time with my family, so I’m hesitant to start a new business because of the time I expect it will require. Cash Flows, Cash Flows, Cash Flows!!! The most important factor that can make a startup go out of business. Never really thought this would have been so critical but learned the hard way. I also think passion towards what you are do is also a must. This leads to innovation and preservation. They should also include the question whether your business is ethical? A year later, we’ve all come a long way. I think maybe one thing that could have been included here is “Do you need a partner/partners?” And if so, how important choosing them will be. From a unified vision to passion and work ethic, so many things need to be considered. The right person complements you and can be an essential driving force on some of the days you feel like you can’t even roll out of bed. They’ll be great support on the bad days and better company on the good ones. Other than that, I definitely think #4 is something everyone needs to learn about and #8.. there are no truer words. Really nice post! I will agree with DragonSearch that #8 is the most important but I will rephrase it as: “do you have the guts?” There are so many people who are willing to start their own business but are scared from the uncertainty. Weigh the odds I would say and jump in! It may be correct to start with “What do you do” however, my business has evolved within the first year – very different from the original plan. I started with the idea of just being an importer of Italian EVOO with a website to cover sales. I realized within 6 months that it was not enough to have a viable business. So I have now branched out to various gourmet foods and have a goal of 50 Foods! The trick is to keep updating the business plan, the goals and last but not the least, the cashflow. great list, all so true. Point 6 about managing your customers resonates strongly with me. In my own small business after changing to a good CRM (salesforce – it’s awesome) things became so much easier for tracking jobs, interactions and demographics about the customer. Amazing article, I am An Entrepreneur a business man who believes we are all students until the very end. I’m an SEO Specialist with background in graphics, web design, Social Media and internet marketing, I am also the Co-Founder & Director of the web agency Mason & Mesli. I started 15 years ago, I have been through so many of these steps and had to learn it the hard way, when I started information was not so easy to access, if you’re starting a new business try to really understand and follow the information written in this article. I personally think that number one is the key, you need to focus try not to be all things to all people and secondary you need to understand what cashflow is. This seems to be the way to go, these days. swap one boss for many bosses very true….whatever it is you decide to do, make sure you either really enjoy doing it or you earn lots of money for it because (certainly in the early days) it consumes more of your free time than you think it does. Even when you’re not ‘working’…you will be thinking about things that need done….. I think the most important point was missing. 9. Do you know that 80% of (small) businesses go bust in the first year? of the 20% that survive the first year, 50% will go bust. That leaves only 10% of new small businesses will survive at all. I have a small retail shop in a small tourist area. When I started it I was clueless. I thought it sounded fun to have a boutique gift business. Reality hit very quickly. I have survived and gone on to prosper but in the first 4 years I realised that all the shops around that had come and gone had actually gone broke. I didn’t really think about what had happened to them before I had my shop. Now I know. Cash Flow is key…… I am just starting my business but I put aside five months worth of the cost of living so I feel pretty confident that I will have positive cash flow before then. Economics are crucial, but not the raison d’etre. keep your overheads low and market, market, market. I think it was a very good article. One of the most important points, comes up in number 4. While it is important to reinvest and expand your business, you also must make sure you have the money to keep the cashflow process going. Great advice, it also helps if you have faced the problem yourself if you are starting a service providing business. I love the one about your unique selling proposition. USP is so important. -Are your loved ones onboard with the new business? It’s never 9 to 5. -What is your backup plan if business conditions turn sour? There is no good answer to the other 7 if #6 isn’t dealt with appropriate. No customer – no biz, no employees, no cashflow. Look, who you already serve! That is your market! Its talking to you. Money lies on the street, yes. But one has to 1. recognize it, 2. bow down (!) and 3. grab it. Understand the demands of the customers you already have, that is better than any abstract market survey. Some nice points, but the only thing that matters when starting a business is customers. Therefore nothing matters until you know what they need, how you will serve those needs, how you will find those people, and how you will convince them to use your service. Everything else is details and irrelevant until you have a stable of happy, paying customers. This is a great simple self test! Good job!! Great post. I believe budding entrepreneurs should always ask themselves whether its time for them to earn (start-up) or learn (stay in a job). That’s the best way to figure out whether you are ready to take the plunge or not. Great post but I think you’ve missed the most important question, which is Why? Why are you doing this. Why are you passionate about it and why should employees, customers, partners align with you in this mission. You have to start with why. Great article followed by many thoughtful comments! After nearly 40 years as a principal of a professional services business I can testify to the value of addressing all of the points raised in a documented Business Plan (which should also address the ‘resources’ required; how they will be sourced; and some benchmark indicators – including some on financial viability. In a ‘best case’ -v-‘worst case’ test, know ‘when to fold ’em’ so that it can be done with dignity.) I may have missed it, but whilst I agree cashflow is vitally important profitability is the key to success: you don’t want to be the millionare only on the basis of the residue from starting out as a billionare! motivating. Specifically point six where it holds me to the importance of establishing a process to prioritize and distinguish between employees and customers. Running our own business is much harder than many people think. I reckon thats the cause of so many new business failures so quickly after they start up. For myself, I’ve been in my own business for the past 10 years now, and I have indeed learnt a lot. It was so crippling in the beginning, doing so much work, and for little reward, and doing so many things wrong. In the end it comes down to fortitude, determination and willingness to acknowledge and submit to change everything which is not working, and to keep improving at all times. I started my business madebytailor.ca 2 years ago. It was hard, took me tons of hours everyday to set everything up, and more to keep it running. Do I enjoy it? Yes, of course. I thought all the points except #7. I guess I need to work on it this year. Thanks for creating this article. 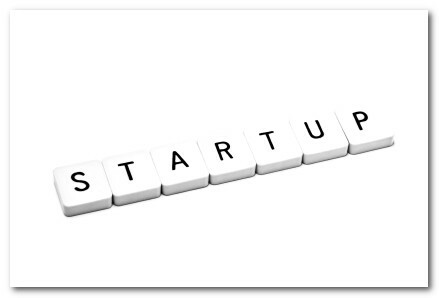 Great article on things to consider prior to making that decision to become a start-up company. I’ve been an Internet marketer for about 6 years and I also build websites for local businesses in my area. In that regard, I use various techniques to get them found in Google local search. 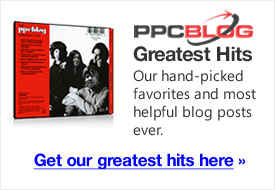 And, obviously, this is marketing feature that drives customers and clients to their website. That’s what I do. But, this is what I would recommend to any start-up. Don’t invest in the business unless you first know how to advertise, market and promote it. As in Internet marketer, I prefer and have developed knowledge in Internet marketing. That’s one way to promote a business. There are others. But, any start up venture seeker needs to develop or have a solid marketing plan in place before the invest in any business. These questions are probably to most basic yet the deciding factor whether your business will turn to success or fail. It is important to set out goals beforehand so that you won’t get distracted with too many business ideas, or get disheartened during the first months after starting your business. In addition, setting out goals also paves the way to careful planning which result to effective business management. I really love the topic that you set here. Keep up the good work! #8 is the most important. If you’re not passionate about what you’re doing, it’s nearly impossible to maintain the required levels of drive, dedication, perseverance, and focus needed to obtain success. Passion is fuel for the tools you bring to the table. Without passion, your tools will not take you far. I have run a multimillion dollar business for nearly a decade, filed bankruptcy, and am now ready to launch a new product. There is no way I would have been able to do the things I’ve done without passion. Thanks for the post. I agree that knowing your unique position is really important. It is also important to help you establish the products and services your market is looking for.